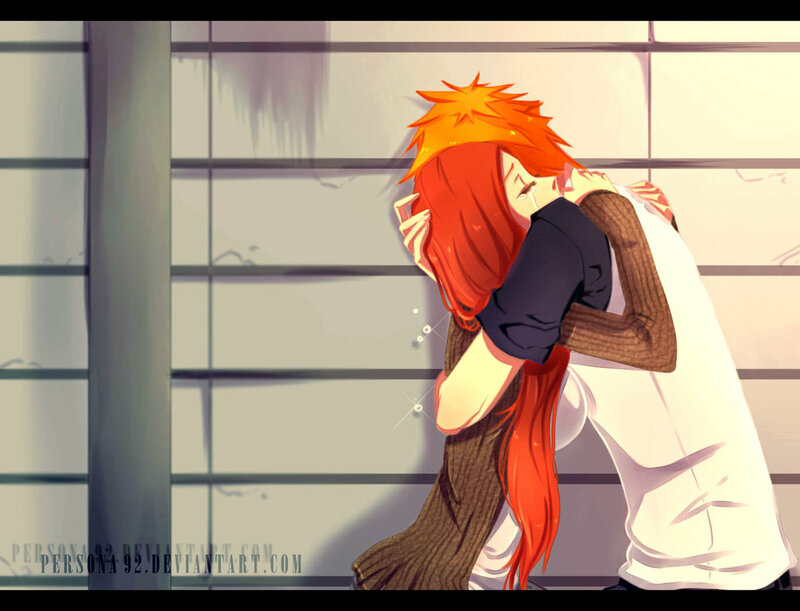 Ichigo x Orihime. . HD Wallpaper and background images in the Bleach Anime club tagged: bleach anime orihime inoue orihime inoue ichigo kurosaki. This Bleach Anime photo might contain sign, poster, text, and chalkboard.